Asthma cases up in the U.S. According to the Centers for Disease Control, asthma cases are on the rise. New statistics show that people diagnosed with asthma in the United States grew by 4.3 million between 2001 and 2009. A new Vital Signs report released Tuesday by the Centers for Disease Control and Prevention, finds nearly 1 in 12 Americans were diagnosed with asthma by 2009. Asthma costs have escalate from about $53 billion in 2002 to about $56 billion in 2007, which is about a 6% increase. African American and Hispanic children may not be receiving the same care and treatment for asthma as Caucasian children, even when they have the same access to care. A study published in this week's medical journal, Archives of Pediatric and Adolescent Medicine, examined more than 800,000 children who were covered by the same health insurance system provided by the U.S. military. They found the prevalence and severity of asthma were higher in black and Hispanic children than their white peers. Researchers suspect that just because patients used the same health plan didn't necessarily mean they were getting the same care. Experts say this may be a result of the differences in the way various ethnic groups utilize the health care system or differences in the treatments received. "Whether they had the same trust of the system, willingness to access the system, whether the physicians provided the same quality of care, is not clear," says Dr. Elizabeth Matsui, pediatric allergist and immunologist, and adviser for the American Academy of Pediatrics. Researchers found that African Americans and Hispanics were less likely to see specialists, such as a pediatric allergist or pulmonologist, than white children. They say this could be due to a couple of factors, including whether minority families seek referrals, or whether doctors are less likely to offer them to minorities. Genetics and environment may also play a role, researchers say. 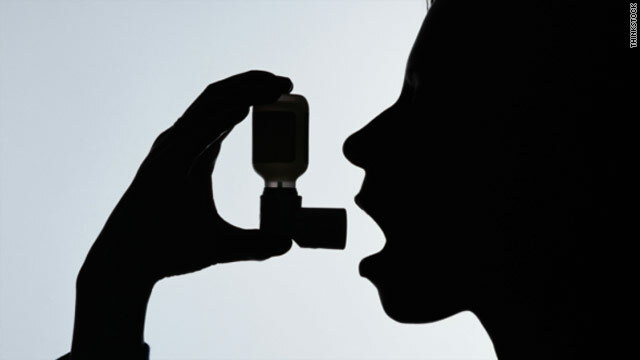 Certain ethnic groups may be more predisposed to asthma than others. Doctors know indoor environments and pollutants can worsen asthma symptoms. And because the study had more blacks and Hispanics living in the south than whites – where there tend to be more indoor pollutants – this may explain some of the differences in health outcomes. "This is an important finding because it tells us something we really didn't know before," says Dr. Thomas Croghan of Georgetown University School of Medicine, one of the study authors. Croghan is also a senior fellow at Mathematica Policy Research, Inc.
Burgers may be cheap, quick and juicy, but America's favorite fast food could have more health implications than just clogged arteries or indigestion. 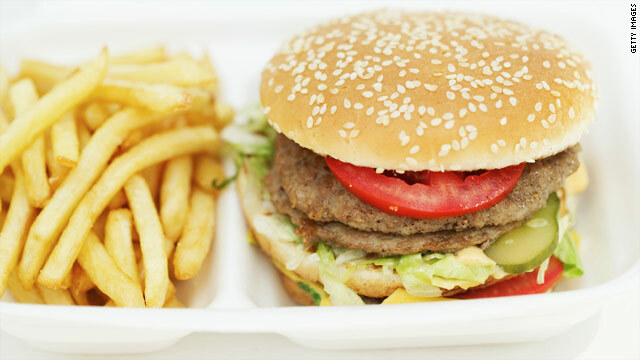 European researchers found “high burger consumption was associated with higher lifetime asthma prevalence” for children, according to findings published in the recent issue of the journal Thorax. High burger consumption consists of eating three or more a week. Dr. Gabriele Nagel in the Institute of Epidemiology at Ulm University, Germany and his colleagues analyzed data collected on 50,000 children for 10 years in 20 rich and poor countries to explore how diet could affect asthma or food allergies. Parents in the study were asked about their children’s normal diet and whether they had ever been had asthma and/or have had wheeze. Healthier foods like fruit, vegetables and fish, and the Mediterranean diet were associated with a lower lifetime prevalence of asthma. This could be because “fast food is rich in industrially hydrogenated vegetable fats such as margarine and meat from ruminant animals which are dietary sources of trans-fatty acids,” researchers wrote. 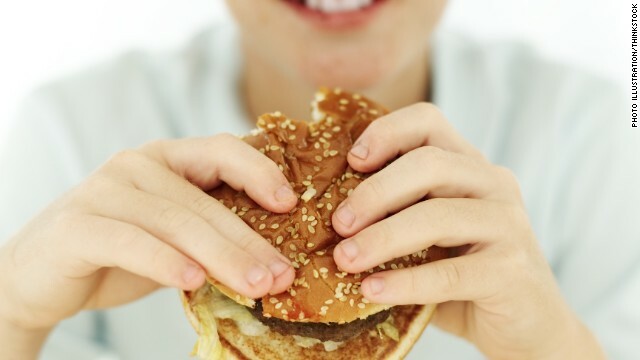 Health advocates have blamed burgers and fast food for childhood obesity rates. Group tells Ronald McDonald to take a hike. Researchers say it might not just be the burgers. "The frequency of burger consumption could be considered as a proxy for unknown lifestyle factors which may vary depending on the societal context, environmental and other lifestyle factors," they wrote. 23 million Americans, 7 million of those children, struggle with asthma. The statistics are sobering. Every day in the United States, 30,000 people have an asthma attack. 40,000 miss school or work because of the disease, emergency rooms see 5,000 asthma patients; 1,000 of those will actually be admitted to the hospital and 11 people will die. Every day. It's one of the country's most common, and most costly diseases. During an asthma attack the smooth muscle around your trachea, or windpipe, constricts, squeezing down and causing shortness of breath and chest tightness. There is no cure for this chronic disease, and for those who suffer with severe, persistent, debilitating asthma, quality of life can be downright miserable. Treatment has been limited to medications that are often short lived and can potentially have side effects. But according to Dr. Mario Castro, a pulmonologist at Washington University School of Medicine in St. Louis, Missouri, a breakthrough is close at hand. Castro led a clinical trial testing the first ever non-drug treatment for severe asthma. It's called bronchial thermoplasty and he contends that it actually prevents attacks (watch Dr. Sanjay Gupta's report here). "What bronchial thermoplasty does is it allows us to go down into your windpipes, into your bronchial tubes and deliver a very controlled energy, a controlled heat to the lining of your windpipe," Castro said, "What it results in is that the muscle, the smooth muscle around your windpipe is decreased in the amount and size." There are three treatments, three weeks apart and no overnight hospital stay. Nearly 300 patients participated in the largest trial of it's kind here in the United States. Those who actually got the treatment logged 84 percent fewer visits to the emergency room than the patients who didn't. Jenny and Michael McLeland, severe asthma sufferers their entire lives, were both got the thermoplasty. Both of us experienced a huge change in our asthma symptoms." Jenny said. "The summer following our treatments we did RAGBRAI, which is a weeklong bike ride up in Iowa. So it involved biking about 550 miles and camping over an entire weekend. Prior to the treatment I couldn't sleep outside. I couldn't sit in the grass without getting wheezy. So to be able to make it through an entire week with no problems was just phenomenal." Two and a half years after the treatment, Jenny hasn't had to make a single visit to the ER. And Michael says he can't put a price on his new-found quality of life. "I feel like I'm 18, 19 years old and doing anything, it feels like I can do anything I want to now. I've done things that I didn't think I would be able to do. The quality of life– the expenses I don't have to worry about anymore, just kind of the emergency room costs and the physician costs and the medication was expensive." Dr. Norman Edelman, chief medical officer of the American Lung Association, says anything new that will help these patients is an important advance. "It's a new concept. Nobody up until now has thought of dealing with asthma by changing the anatomy of the lung.' But Edelman cautions there is a downside. "It's a complex procedure. 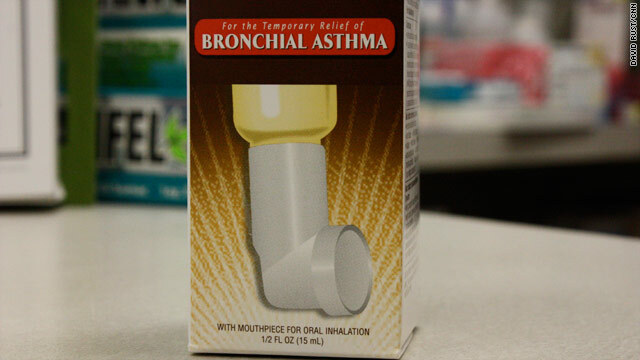 Local physicians who treat asthma will not be ready to use the technique." An FDA advisory committee has already recommended approval on several conditions—such as doctors getting the proper training and requiring that the procedure be performed only at a facility with full resuscitation equipment. 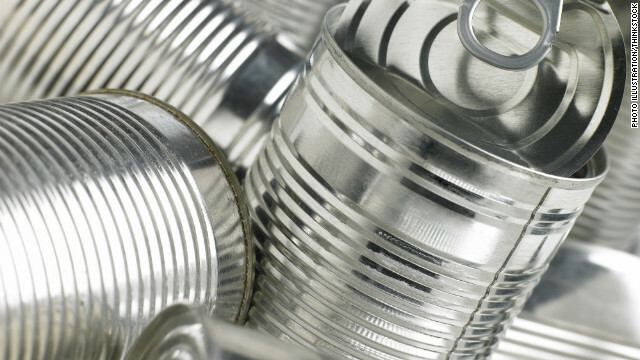 The FDA is still considering the recommendation. So, if you're on the highest dose of your asthma medication and feeling like there's no where else to go, help could be just around the corner.